Our niece just asked us if she should ask for a PC or a Mac for her birthday, as she gets ready to go off to college. We told her to go with a Mac, if money isn’t an issue, because her fellow college students will likely have Macs. In business, PCs are far more common. Mac users have fewer viruses and spyware. Of course, that’s only because it’s a smaller market and fewer hackers aim at it. 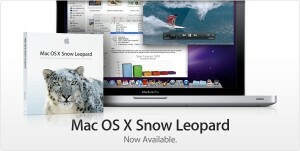 The Mac’s new “Snow Leopard” operating system takes up less than half the hard disk space that Leopard did. It’s also faster and can capture your movements on screen and save them as a video. You can get a Macbook from the Apple store for $999. However, if you have favorite Windows programs, you will need to buy software such as the “Parallels” software for the Mac or its equivalent, so that your Windows programs will run. And that means you also need a copy of Windows, which is pricey. In fact, Joy says if she were a cost-conscious student today, she’d choose the new $355 Windows-based “eeePC 1005ha” netbook from Asus (http://amazon.twi.bz/cb), one of the best-selling laptops at Amazon.com. It comes with Windows XP, has a 10.5 hour battery life, and weighs less than 3 pounds, which could be important when you’re hauling it around campus. Avoiding viruses and spyware is fairly easy if you use the free Avira anti-virus and the free Spybot Search and Destroy (both from download.com). The eeePC lacks a CD drive, so it would probably be a good idea to get an external plug-and-play CD drive for $59: http://amazon.twi.bz/db. The Toshiba netbook has also gotten some good buzz. So has the new sub-$300 Acer Aspire. PCWorld.com and PCmag.com are good sources for more reviews. If your laptop has Vista Home Premium on it, Microsoft is offering college students an upgrade to the new Windows 7 for $30, instead of the usual $120 asking price. Yes, that’s true. We should have mentioned that and Fusion. Thanks for the comment.